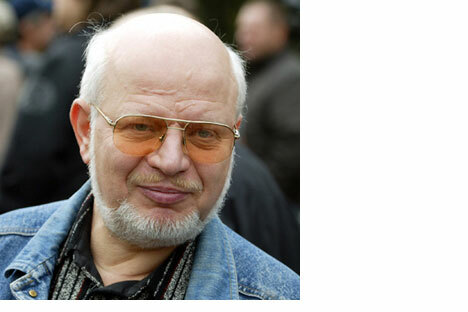 The Russian government chose Mikhail Fedotov, a senior member of a liberal political party and fierce Kremlin critic. The candidacy of Fedotov - a longtime crusader for media freedom-stunned some members of the OECD. Can Fedotov influence the dire media situation in his own country? What does the Kremlin have to gain from his nomination? Fedotov, 60, was expelled from Moscow State University in 1968 for being a member of the emerging human rights movement. Later, he wrote Russia's first law on press freedom. Here, Russia Now features Fedotov's interview with the influential Gazeta.ru (incidentally, the same resource President Dmitry Medvedev used to pitch his "Forward, Russia!" article). Fedotov also writes about new agreements between Russian and Georgian journalists conceived on the anniversary of the fall of the Berlin Wall. The Organization for Security and Cooperation in Europe is expected to choose a new special representative for press freedom at its Ministerial Council in Athens on 1-2 December. Of the six initial candidates, four remain: the nominees of Austria, Bosnia and Herzegovina, Great Britain and Russia. Moscow has nominated Mikhail Fedotov, post-Soviet Russia's first press minister and currently secretary of the Russian Journalists' Union. The Russian government's selection of Fedotov, known for his liberal views, came as a surprise to Kremlin critics. He was a senior member of the liberal political party Union of Right Forces and of the anti-Putin Committee 2008: Free Choice. "I see my chances as fairly modest," said Fedotov in a conversation with online publication Gazeta.ru. "My candidacy may not be supported by countries that pay only lip service to freedom of speech. But perhaps post-Soviet countries will prefer me because I can talk to them in their own language." Who will come out against you? The countries of Eastern Europe won't likely want to see a Russian in any important posts in European organizations. But the EU countries, I think, will vote as one, and they are well aware that I not only represent Russia but oppose the curtailment of mass media rights. My colleagues should realize that I will likely be a stricter critic of my own country and countries formerly in the socialist camp. Then why did the Russian government nominate you? I doubt they did it out of any masochistic considerations. Perhaps they did it because they really would like modernization for the country, but can achieve it only in this way. Economic modernization is impossible without social modernization. Are you a critic of the Russian government? I am in favor of a working Constitution and the commitments that Russia has assumed with respect to the international community. I consider it important that Russia respect and provide freedom of speech, that it respect the rights of journalists. For instance, when we refuse journalists the right to enter Russia under a false pretext, we are violating our international commitments. When journalists are subjected to absolutely incommensurate punitive measures, we are also violating our commitments. How was the decision taken by the Russian government to nominate you for OSCE special representative for freedom of the press? It wasn't people in the government who nominated me. I was nominated by the Russian Journalists' Union, which even a year ago was already concerned that the term of the current special representative, Miklosh Kharashti, was due to expire in 2010. Kharashti is now serving his second three-year term and cannot serve a third. Were you told why you were chosen? The people sitting in the Kremlin decided that my candidacy could serve as a signal that in Russia there are forces that want our country to conduct itself differently in the international arena and to act not like an authoritarian state by broadcasting the ideals of "sovereign democracy," but like a state striving to build a democratic society that functions in accordance with the law. Is it a signal to the West? The signal is being transmitted not only abroad. The powers that be must realize that I am a fully formed person with fully formed views and do not intend to act as anyone's PR man. ...I will talk about the censorship on Russian television as a matter of principle, the way I do now. Of course, official statements by the OSCE special representative for freedom of the press carry more weight that those of the secretary of the Russian Journalists' Union, and to some degree may influence the situation with freedom of the press in Russia, and, say, in countries like Belarus or Kazakhstan. Do you feel that your nomination is a way for so-called Kremlin liberals to influence the situation with freedom of speech in Russia by involving a "foreign specialist," which you may become, since they cannot act inside the system? It may indeed be true that certain liberal forces want to come in from the far side and give me a chance to work not as a rank-and-file Russian bureaucrat, but as an independent representative of an international organization. What is your opinion about Internet censorship? I am opposed to censorship in any form as a matter of principle and take pride in the fact that I personally helped to destroy censorship in my country. The Internet must remain to the greatest degree a space for the free expression of opinions. But one must see the difference between the blogosphere, the personal blogs of individual citizens, and the Internet media. The latter relates not to the sphere of freedom of opinions, but to the sphere of press freedom. Their activities are determined not only by the laws on media, but by the journalist's professional and ethical codes. As for bloggers, "information" cannot be demanded of them - they have none to offer. What they write can be considered an assessment, creative writing, an account; they are not bound by the demands of objectivity. Regulation on the web is possible, but it is primarily self-regulating. The main thing about Internet journalism is to understand its trans-national nature; this is only one of the features that distinguish it from traditional mass media. In Russia people don't really understand this. When I saw the corrections to the Law on Mass Media made by our Justice Ministry, I was shocked: the people working on the corrections had no understanding of the Internet. They suggested defining the "Russian segment of the Internet" as that part of the Internet which is "located on the territory of the Russian Federation." That's like defining "Russian clouds" as those clouds located on the territory of Russia. Will the Law on the Mass Media, which you drafted in the 1990's, change in future? Yuri Baturin and I have prepared a long list of corrections for the State Duma [to review]. We would not like to return it to its original form—that would be unrealistic—but we would like to bring back its democratic potential. Yulon Gagoshidze, Georgia's State Minster for Diaspora Issues, stated last week that "while the whole world is marking the 20th anniversary of the fall of the Berlin Wall, Russia and Georgia are building new walls." He was not aware that November 9, the very day when Berliners were celebrating together with the whole of united Europe, the first cracks appeared in the Russian-Georgian wall. On that day, Zviad Pochkhua, head of the Independent Association of Georgian Journalists, and I [representing the Russian Journalists Union] signed a joint declaration on reporting the military conflict between Russia and Georgia. After the signing, we went to the square by the Brandenburg Gate, where a throng of people many thousands strong (something prevents me calling this community of free people a crowd) awaited the start of the ceremony in pouring rain and a cold wind. There were no dividing lines here, no walls or barriers. Just a strong feeling of unity and solidarity. To be honest, informal dialogue between Russian and Georgian journalists had been going on for more than a month. However, we still could not get beyond general discussion of the causes and consequences of the August war to something specific, not even a protocol of intent or a general wish-list. And then the International Federation of Journalists came to our rescue. In the midst of the Berlin celebrations, they organized a conference devoted to the main challenges that the transitional countries' media have encountered in the last two decades. It was within the framework of this conference that the Russian-Georgian journalists' declaration was drawn up and signed. Ensuring independent and objective coverage of the Russian-Georgian conflict and its consequences is the main aim of our joint declaration. We demand that the governments of both countries "cease all restrictions on the movements of journalists without delay, and give all journalists the opportunity to file their reports across the whole territory of the Russian Federation and Georgia." At the same time we pose the question of providing journalists not only with freedom of movement, but also with the guarantees of security stipulated in Resolution 1738 of the United Nations Security Council. I am convinced that the more free and secure Russian and Georgian journalists feel in each other's countries, the more accurate and objective the dispatches will be. Can we really tolerate a situation where a Georgian journalist cannot travel to Abkhazia or South Ossetia and describe what is happening on the ground? And conversely, why can't a Russian journalist who has arrived in Abkhazia enter Georgia to report the consequences of the conflict? If those who enter the conflict zone are not propagandists primed to incite discord, but journalists who respect their own standards of professional ethics, the news picture will be clearer and the clouds of propaganda will gradually disperse. Of course, it's much more difficult to make up than it is to argue - but it's also much more pleasant.